There’s no denying that product photography is incredibly important to e-commerce. Bad photos — or a complete lack of photos — can take a potentially thriving business and stall its sales. But, as a fledgling e-commerce entrepreneur, you might not have the money to pay for professional photos right off the bat. What’s a business owner to do? Lucky for you, you don’t necessarily need an expensive toolkit or a photographer friend to take those pictures. Smartphone cameras have progressed at an astounding pace. They won’t deliver the same end result as hiring a product photographer with a DSLR, but you can take perfectly good photos of your products in the meantime. You just need to know a few tips and tricks. In the best lighting conditions, any modern smartphone can take decent pictures. If you are going to take photos in natural light, you don’t need to worry about your camera. More megapixels do not necessarily create a better image. The number of megapixels mostly stands for the image size — the more megapixels, the larger the image. Something between 8 and 16 megapixels is fine — in case you want to crop your pictures, they won’t lose a lot of clarity. If you are going to buy a new phone anyways, you can compare the quality of real pictures taken under different light conditions by various cameras here. The most popular brands are available for comparison. Find a contrasting background – that is the #1 rule. Ideally, you want the background/surface to skew on the lighter side — black backgrounds can make a photo look very dark. If your product is light colored, go for a medium tone rather than a black background. Choose a concept for your background, so that your photos look like a gallery. 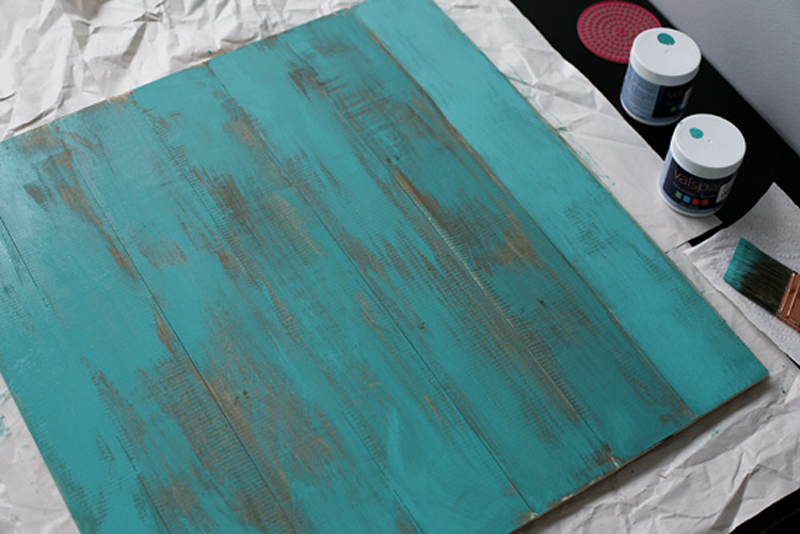 Background ideas vary from plain white to every kind of surface you find attractive. Having a concept doesn’t mean using one and the same background all the time — you can play with textures and colors. Sometimes it’s hard to find a plain background for your photos. 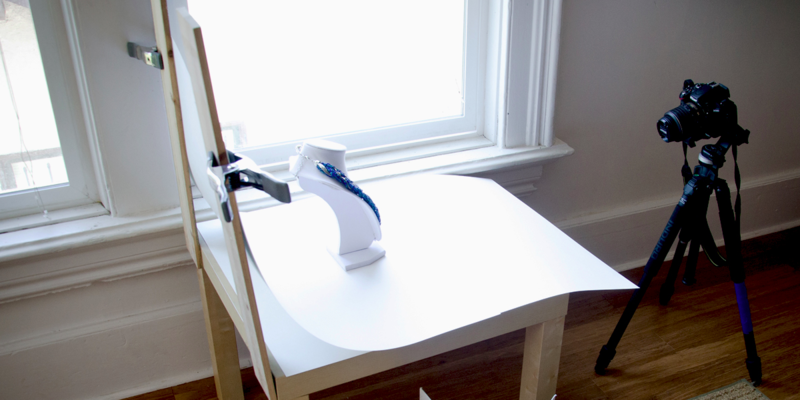 In this case, set up a poster board against a wall, so that it’s curved from the floor to the wall. Your pictures don’t have to be all white. Using a natural background is not just an in-case option, as this approach has several benefits over shooting your products on a plain background. Experiments with background make your pictures unique and influence brand establishment. People tend to remember brighter colors and interesting compositions better. Also, getting creative with backgrounds increases the chances that someone will want to like and share your product picture on social media, especially on Pinterest and on Instagram. You don’t even have to buy special cloth for that. Go through your sweaters, plaids, and rugs — they are all treasures. Take what you sell and go for a walk to find backgrounds that would make great company to your product’s colors, shape, and dimension. Grass, sand, road, leaves, walls — the list goes on as long you can go. Light is by far the most important factor for a beautiful picture. As mentioned above, natural lighting is best, but sometimes, direct natural light can be harsh and cause dark shadows and color distortions (making things look more orange than they are). If you can take photos directly next to a large window that receives natural light, that can prevent harsh shadows because it diffuses the light. The other option is aiming for earlier morning hours or later afternoon hours when the sun is a little less harsh. You also don’t want the product to be backlit, so you want the source of light to be behind or to the side of you and above the camera/phone. 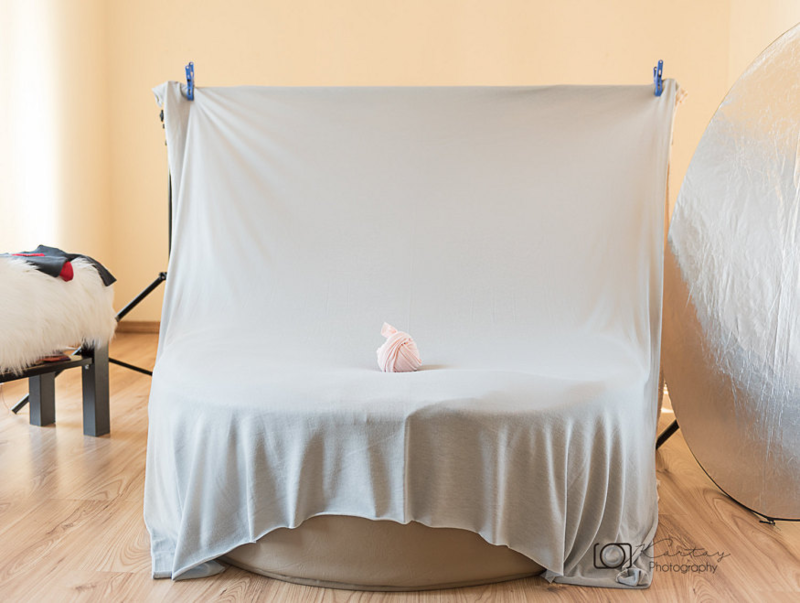 If you are going to consistently take and add new photos to your store as you expand your product catalog, and have no intentions of outsourcing product photography any time soon, buy a lightbox or go DIY. 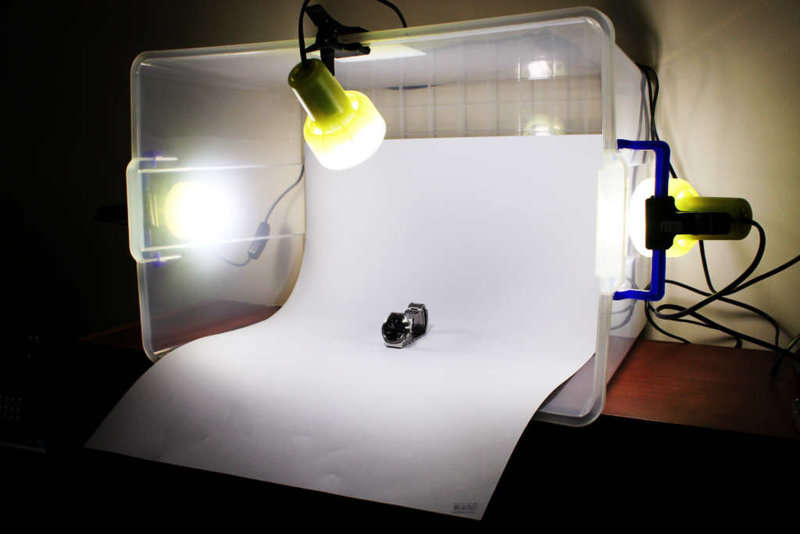 You’ll need: your phone; a white poster board; a large, clear, plastic storage container; and 2-3 lamps (alternately: a kit like this one or this one, if you would have to go out and buy all those components). Put the white poster board in the storage container so that it curves from the bottom of the container up the back. Position a lamp on each side of the storage container. Make sure you have the right bulbs for the lamps. The bulbs in each lamp need to be identical (otherwise the lighting will be uneven or give different colors); ideally, you’ll use cool-colored 5000K bulbs. Does my picture tell a story? In order to picture an involving story and drag your customers into it, experiment with perspectives and use accessories. You will need more than just the front and the side views of your product. Try the following approaches to start with. Show your product’s natural look. Tell your customers about the best product features. Give your customers an idea of how your product can fit their lives. Are you inspired enough to grab your phone and go shoot beautiful product pictures? 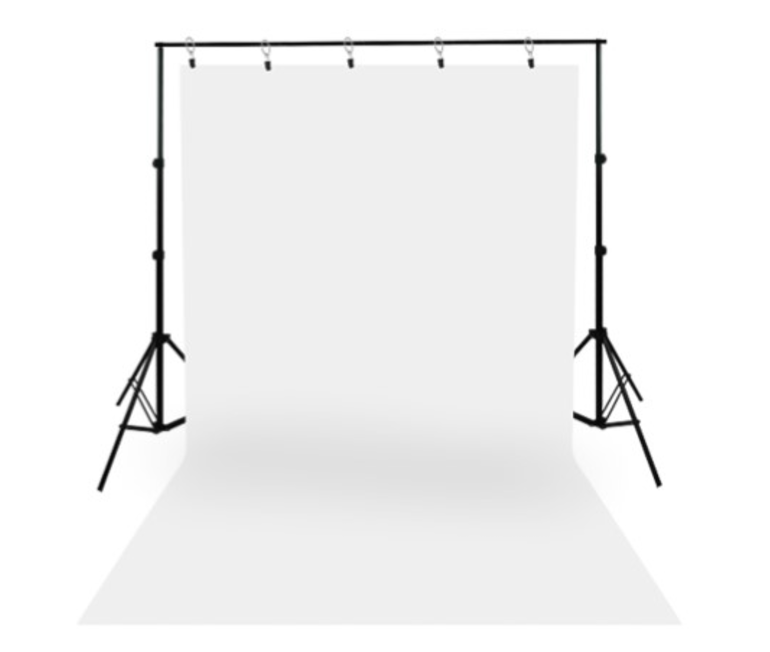 You’ll need (in total): a smartphone, a tripod, a plastic container, three lamps, a poster board and a backdrop or two. Natural light is best, but try to shoot during morning hours or before the sunset. Try to include a story in your images.